The Aggies were leading the field heading into the third and final day of the tournament. The Aggies beat second place opponent University of Kansas City-Missouri by one stroke, finishing the tournament with a 46 under 818 to UMKC’s 819. Kansas finished a close third with a 822, while the host team UTEP finished at No. 6 with a 838. San Jose State’s Cody Blick and UMKC’s Antoine Roznor finished tied for first shooting 18 under for the tournament. Isaac Merry, NM State’s leading scorer, tied for third with a 16 under 200 (63, 67, 700. Kenneth Fadke finished with a 206 (69, 68, 69), Luis Medina recorded a 206 (73, 68, 65), Pat Beyhan shot a 211 (69, 68, 74) and Brett Walker finished with a 215 (71, 73, 71) to round out the Aggie scoring. Merry was leading the field entering the final day of the tournament, but great rounds from Blick and Roznor saw the Aggies No. 1 overtaken. 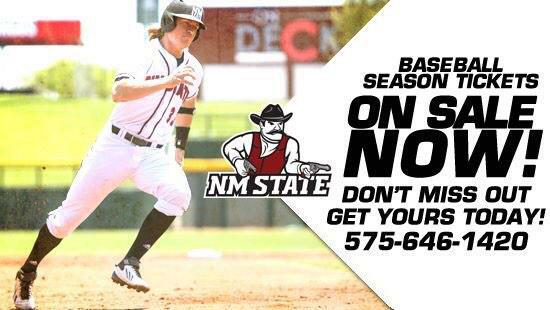 A Las Cruces native, Merry is one of two freshmen on the Aggie’s team, having played for Onate High School. Individuals for the Aggies were Travis Benson, Keith Bennett and David Wilson. Benson finished tied No. 37 with a 213 (74, 70, 69), Bennett was tied No. 77 with a 222 (77, 74, 77) and Wilson was alone at No. 84 with a 235 (79, 72, 84). This is the Aggies last match heading into the winter break, resuming play Jan. 26 in Tucson, Ariz., for the Arizona Intercollegiate.